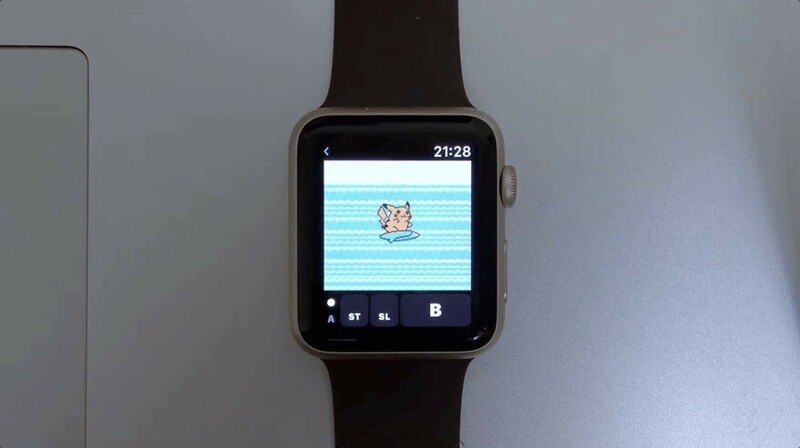 Play Pokémon Yellow on the Apple Watch! In this week’s ‘making programs work on devices they weren’t meant to appear on,’ an iOS developer has managed to improve the Apple Watch tenfold by getting a Game Boy emulator to run on it. Gabriel O'Flaherty-Chan calls his emulator Giovanni, named after the leader of Team Rocket from the Pokémon series. As reported by Ars Technica, it can run Game Boy and Game Boy Color titles on the Apple Watch Series 2 - the original version of Apple’s wearable would presumably be too slow. O’Flaherty-Chan built Giovanni out of an iOS emulator called Gambatte, adding controls which allow the games to be played on the Apple Watch 2. He writes in a blog post that porting the emulator was made all the more complicated due to WatchOS not supporting APIs like OpenGL or Apple’s Metal. "Since getting an Apple Watch last fall, I've been disappointed by the lack of content," said the dev. “This is my way of giving back to the community." As is usually the case with these sort of things, Giovanni is mostly just a proof of concept. The Apple Watch 2's restrictive hardware means the emulator plays titles much slower than the Game Boy, and it’s not as if Apple would ever allow the program onto its App Store. If you want to try out Giovanni, the source code is available now on Github.